If you love Chile Verde in a Mexican restaurant, here are Ten Terrific Slow Cooker or Instant Pot Chile Verde Recipes for you to try at home. Whether it’s cooked for hours in the slow cooker or less than an hour in the Instant Pot, Chile Verde can’t be beat for a tasty weeknight meal. 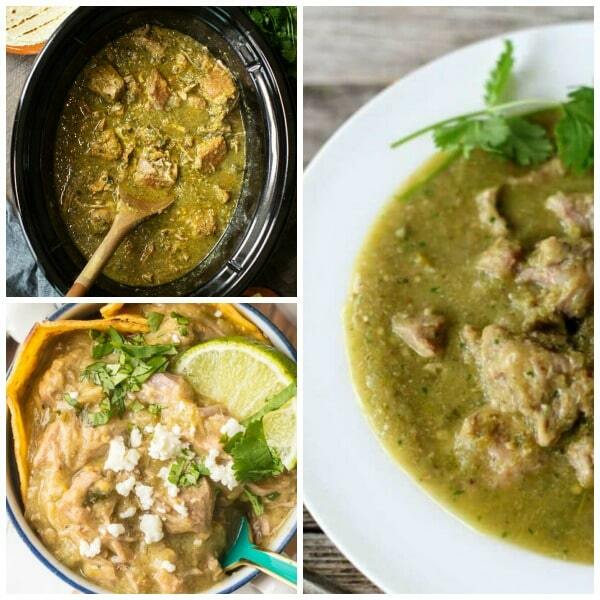 Click here to PIN Ten Terrific Slow Cooker or Instant Pot Chile Verde Recipes! If you live in the western U.S. you might have noticed how those delicious Hatch Chiles start showing up at Whole Foods and other stores this time of year. 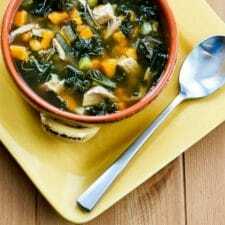 Memories of that seasonal treat, plus my long, long time love for Chile Verde, is the reason it seemed like a good idea to create this collection of Ten Terrific Slow Cooker or Instant Pot Chile Verde Recipes! It’s time to make Chile Verde! And although some people use chicken with green chiles to make a dish that’s similar to this, I think Pork Chile Verde is where it’s really happening. In Utah the Chile Verde from The Red Iguana is the one that makes me swoon, but I think these slow cooker or Instant Pot Chile Verde recipes from food bloggers all look pretty spectacular! We looked all over the web and picked Ten Terrific Slow Cooker or Instant Pot Chile Verde Recipes that we thought looked amazing, hope you enjoy! All photos are copyrighted to the blog that originally posted the recipe. Just click the recipe title under each photo to see that recipe on the original blog. Instant Pot Chile Verde from A Bountiful Kitchen is a not-too-spicy version of this favorite south of the border dish. Slow Cooker Chili Verde from The Kitchn is a pork-based stew simmered with poblano peppers, jalapenos, tomatillos, spices, and great northern beans. Served in a bowl as a chili-stew that is eaten with a spoon and topped with cilantro and a wedge of lime. 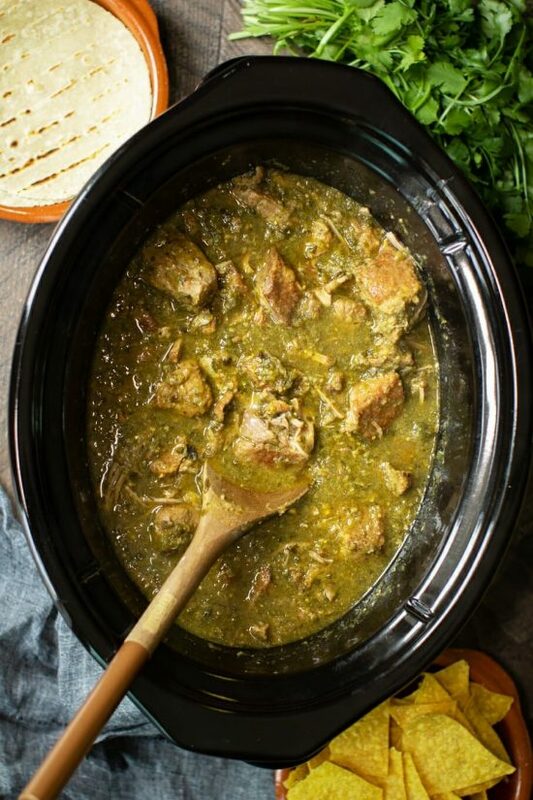 For this Slow Cooker Pork Chile Verde from Your Homebased Mom you brown the pork first and then put it and everything else in the slow cooker and let it cook. This Pork Chile Verde would be great served on it’s own or wrapped in a tortilla and smothered with cheese. 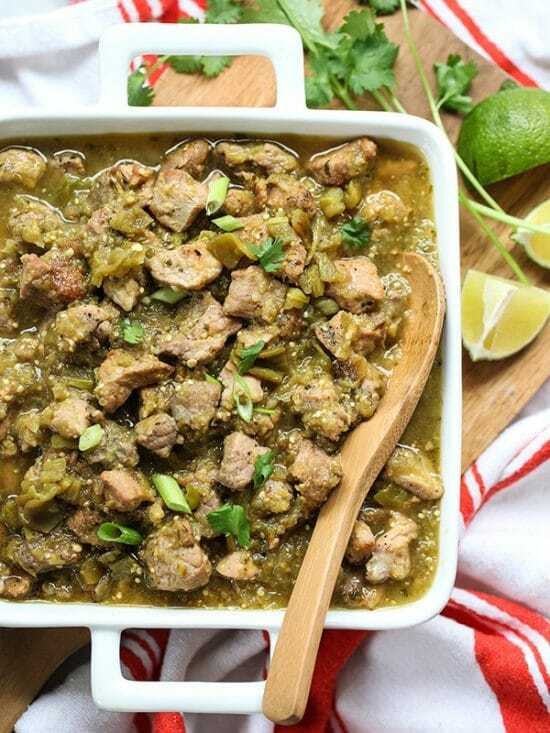 Slow Cooker Hatch Green Chile Verde from Foodiecrush uses roasted Hatch green chiles, tomatillos, onion, garlic, and a few seasonings with a pork sirloin roast to create this delicious looking green chile verde. Heidi says if you don’t have fresh Hatch chiles you can roast a couple of jalepenos with the tomatillos in place of the chiles, and if you want more heat, just add more chiles. 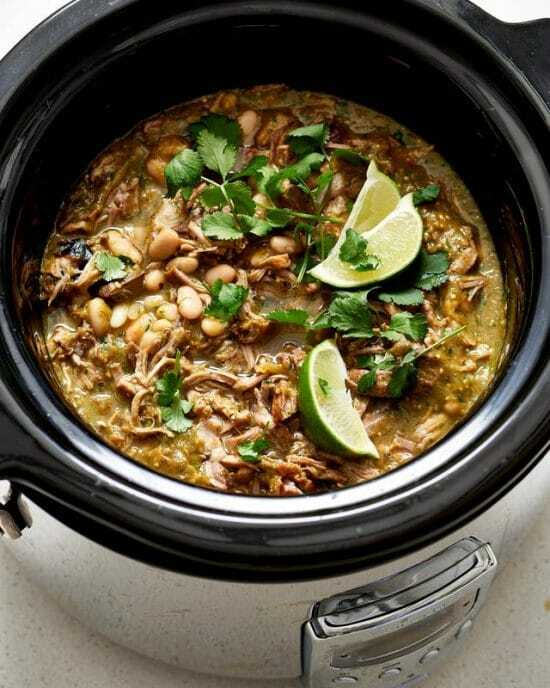 Slow Cooker Chile Verde from The Magical Slow Cooker starts by roasting peppers, garlic, tomatillos, and onions; then blended together and simmered with pork, a few spices, and a little broth. After several hours in the slow cooker this Chile Verde is cooked to perfection and ready to serve. 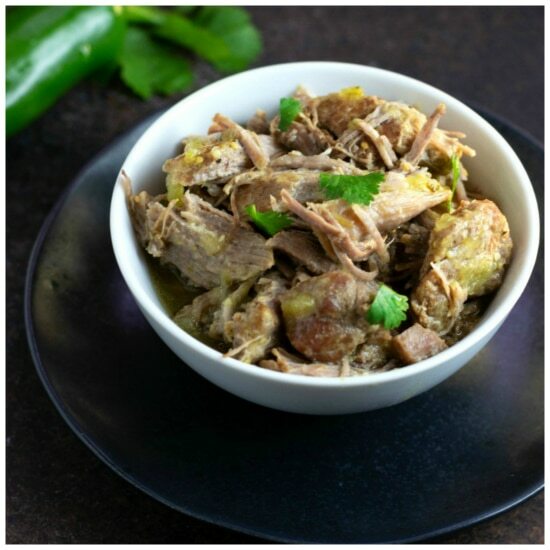 Instant Pot Pork Chile Verde from Two Sleevers is ready to serve in less than an hour for an easy, delicious, and savory meal. Slow Cooker Pulled Pork Chile Verde from Noble Pig wrapped in a warm tortilla and loaded with all your favorite toppings just might become a family favorite. Plus, if you have leftover Chile Verde you can freeze it for a later meal. Easy Keto Instant Pot Chile Verde from Beauty and the Foodie has just six ingredients and a wonderful slow-cooked flavor but cooks in less than an hour in the Instant Pot. This Chile Verde recipe is also low-carb, Keto, Paleo, and Whole 30. 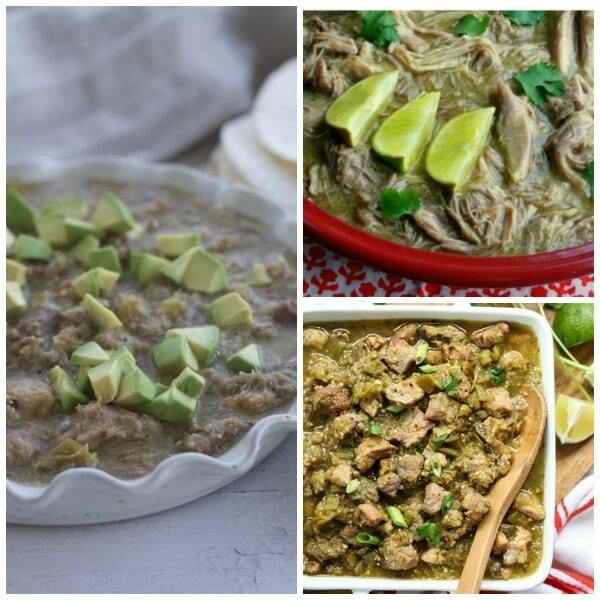 Have you ever made Chile Verde in the slow cooker or pressure cooker? Let us know in the comments about how that went for you!